Together with its Middle Eastern partner Interclean Gulf, meiko Textil GmbH showcased a wide range of products at this year’s CMEX in Dubai. 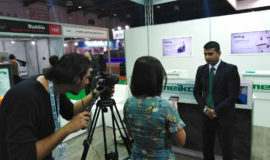 Following three interesting days at the trade fair, the team saw some extremely positive results. The well-thought-out range of products and the individual consultations were well received by the trade visitors. “We got talking to a lot of decision-makers and were able to gain new business contacts,” explained Renner Kleemeier, Head of Sales at Meiko Textil GmbH contentedly. 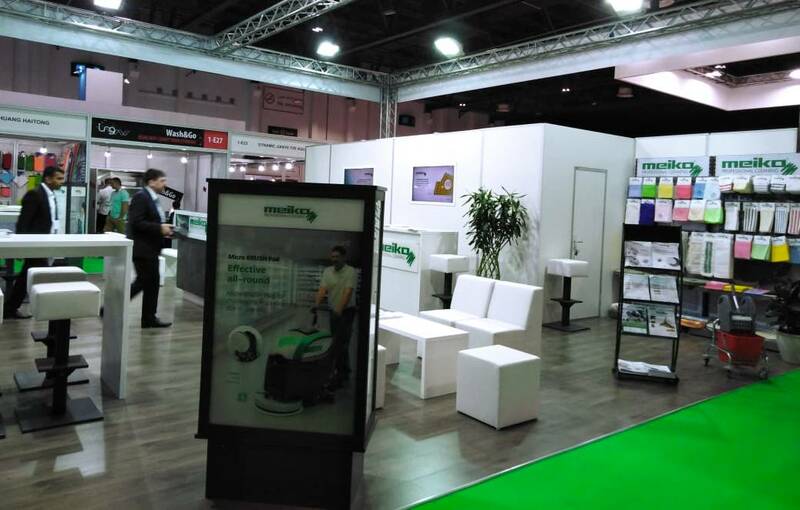 With clever cleaning solutions, meiko impresses clients in more than 50 countries worldwide and is one of the leading German companies in the area of professional cleaning. This year, in conjunction with Interclean Gulf, meiko has also brought its well-thought-out product solutions out onto the Arabian market. Centre of the visitors’ attention were the extensive range of ‘made in Germany’ fleece cloths, such as the wet wipes. Highly absorbent and with an anti-bacterial coating, they are suitable for all smooth and lightly structured surfaces that need a lint-free cleaning solution. Their durability and the fact that they can be composted also make them very environmentally friendly. They are suitable for colour coding and are certified according to the OEKO-TEX® Standard 100. The wet wipes are also available with easy-to-understand pictograms indicating the different areas of application as well as the colour coding, thus ensuring greater safety for everyday cleaning. Thanks to its excellent abrasion force, the Micro BRUSH Pad is particularly effective and also removes dirt from heavily structured and uneven floors. Over large areas, the pad retains its consistent cleaning performance whilst using little chemical cleaning agent. Whilst other pads need changing or cleaning every now and then, the Micro BRUSH Pad keeps on working. That’s why it is now being used every day in the largest shopping centre in Dubai to clean its floors. It can be used on PVC, hard and stone floors as well as all safety floors. The cleaning is so thorough that it reconditions the anti-slip features of the safety tiles. It is therefore ideally suited to sustainable basic, interval and routine cleaning. More than 60 exhibiters from 15 countries were presenting at CMEX. 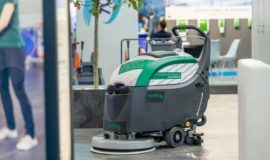 New innovations and market trends from the areas of cleaning and hygiene, laundry and dry-cleaning as well as car washing and car maintenance were showcased in the Dubai World Trade Centre.